Want to know what the new Ford Focus RS is like on Irish roads? Read our review now. Good: phenomenal handling, epic performance, still practical, sounds great. Not so good: softest setting could be softer still for Irish roads. I think it's fair to say that the Ford Focus RS is one of the most hyped up new hot hatches of the decade, and while its 'drift mode' is grabbing all the headlines, this car's abilities go far deeper than that. After all, if you use that to the fullest on the public road too often, you'll find your driving licence shredding as fast at the RS's rear tyres. Indeed, having spent a few intense days at the wheel of the hot Focus I can categorically state that it's not 100 per cent suited to Irish roads. However, in spite of that, it is undeniably one of the most exciting performance cars on the market today, at any price. So let's address the biggest number associated with the Focus RS first, the €52,600 cost of entry, or €13,400 more than the Ford Focus ST. That won't quite get you the specification of the Irish press car pictured here though, which has had nearly €4,000 of options fitted. The base model, thankfully, comes with all the important mechanical bits (which I'll get to in a minute), but there are a few choice extras worth looking at. That retina-popping 'Nitrous' blue paint, for example, is €1,205 (photographs can't convey how much sparkle there is in it), while it costs another €500 to have the 19-inch rims finished in a moody dark colour and €150 for the RS-branded and painted brake calipers. In fact, the only free body paint colour is Frozen White, and there are only three variations on grey between it and blue. Park the RS next to a Focus ST and you'll be surprised at how many body parts are shared too, as the new range-topper has much more presence no matter what angle you view it from, thanks to those large wheels, a deep and menacing front bumper and a rear diffuser that houses two large exhaust outlets. Not to mention the purposeful looking roof spoiler. And yet, despite all that, the new RS is a shrinking violet next to the WRC rally stage refugee styling of its predecessor. That's no bad thing. The interior of the new Focus RS takes the 'being subtle' thing very serious. There's a chunky steering wheel (I wish it was circular, not a squashed shape), abundant blue stitching and detailing and bespoke RS seats. Buyers can pay an extra €2,000 for full-leather Recaro shell seats up front and it's money well spent. While they initially feel firm and unyielding, I spent nigh on six hours at the wheel in one go without as much as a twinge from my back. They also give great lateral support for fast cornering and really good shoulder support. My only issue with them is that they make you sit up rather high, but I guess you get used to that - and it improves visibility. Even with that mild annoyance, it's impossible not to be charmed by the Focus RS. Those that love driving will absolutely adore this car. The brake pedal is meaty and reassuring (if a little too far from the throttle for my liking), with perfect modulation of stopping power. The car is massively stable even when you're braking while turning or the road surface beneath is wet. The six-speed manual gearchange is fast, the shift short and satisfying, yet because the 2.3-litre EcoBoost engine is so tractable, there's hardly any reason to use that gearbox. Ostensibly, the Focus RS shares its four-cylinder engine with the Ford Mustang, but power is up to 350hp and there's as much as 470Nm during periods of 'overboost'. The Focus is also considerably smaller and lighter than its oh-so-American cousin. Hence, it's impossible to find a flat spot in the delivery. Any gear, any engine speed: put your foot down on the throttle pedal and you get meaningful acceleration towards the horizon, accompanied by a hard-edged note from the exhaust that is vaguely reminiscent of the off-beat warble fast Subaru Imprezas of old used to emit. That this car is fast in a straight line is of no surprise, but its party trick is cornering. And actually, it's worth pointing out that, not only is it exceptionally quick at going around curves, it's also incredibly adept at involving its driver in the process. The power steering is one of the best electrically assisted systems around in terms of feedback and communication from the tyres to the palms of your hands. There's loads of grip to lean on, but when it starts to run out, you are aware of the limits. What's more, you can clearly feel the torque shift to the rear axle as the front tyres begin to slip, meaning you can accelerate through a corner in confidence rather than back off to prevent understeering off the road. 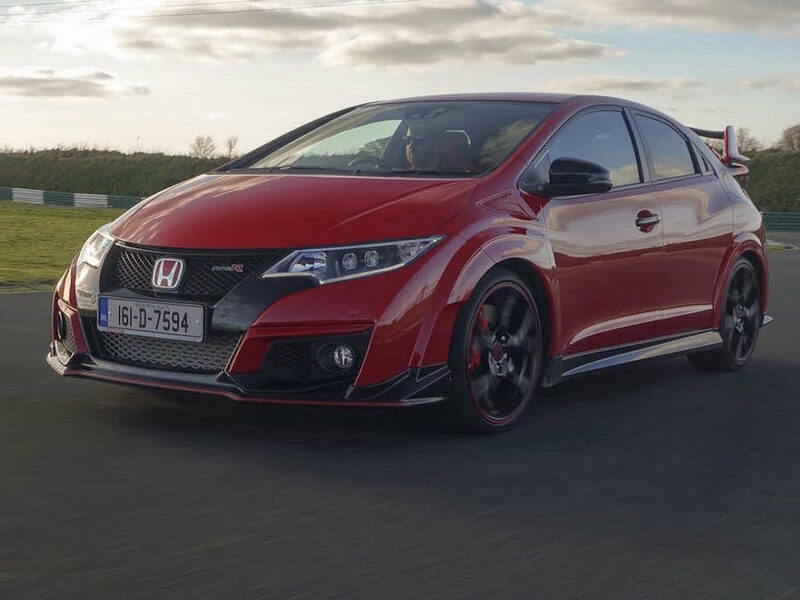 It makes for a highly satisfying driving experience, one that's unique to the hot hatch genre. 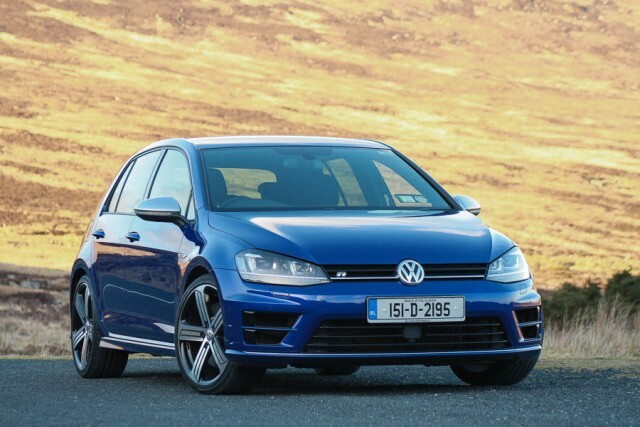 The Audi RS 3 Sportback and Volkswagen Golf R both, theoretically, can do the same thing, but the approach to their dynamics (and their hardware) is quite different - they still feel like front-wheel drive hatches with a little help from the rear axle; the Focus RS, at times, acts more like a rear-wheel drive car. That gives it a unique, engaging, exciting character, yet not one that alienates the uninitiated. All the hype? It didn't live up to the new Ford Focus RS. 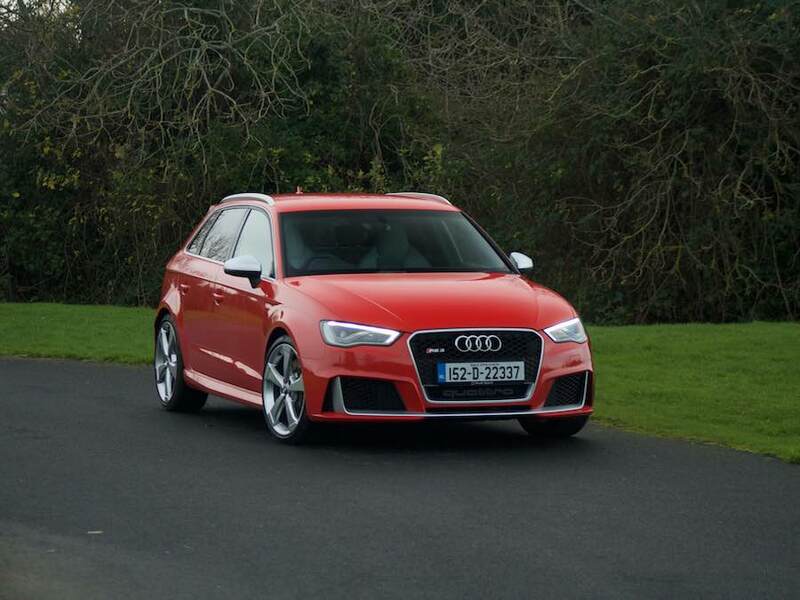 Audi RS 3 Sportback vs. Ford Focus RS: more expensive and not as engaging, but high of quality and very fast. Honda Civic Type R vs. Ford Focus RS: no four-wheel drive but nearly as fast in the dry and equally focused - questionable image though. Volkswagen Golf R vs. Ford Focus RS: was the one to beat; got beat, though usefully cheaper to buy - and more subtle.